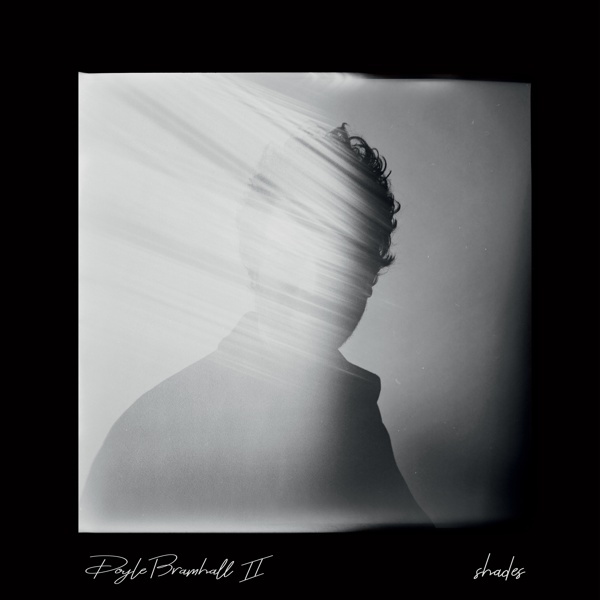 Doyle Bramhall 2 belongs to the group of the most in-demand session musicians in the world, touring alongside Eric Clapton and Sheryl Crow, or working as a producer and songwriter for artists such as Sheryl Crow and Norah Jones. 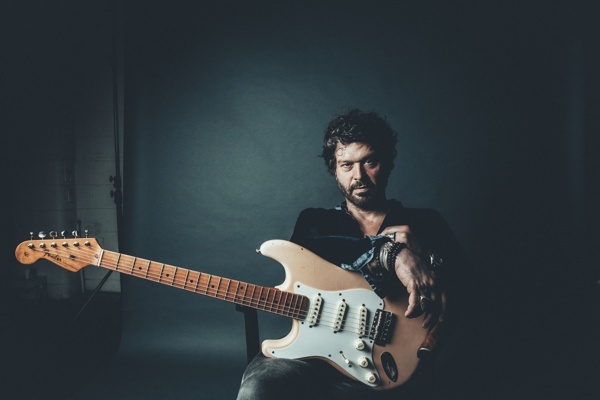 With an impressive history, as a child of Doyle Bramhall I and growing up with Jimmie and Stevie Ray Vaughn, who he considers his family, he started his career at a very young age, leading the renowned Rock band 'Arc Angels' until he released his first three studio solo albums 'Doyle Bramhall II', 'Jerry Cream' and 'Welcome'. He then received a call from Eric Clapton and Roger Water in 2001 to join them on tour. Since then he is known as one of the most skilled guitarists, playing impressively upside down, but also for being an outstanding songwriter and producer. After 15 years of a break as a solo artist he returned in 2016 with his self- produced album 'Rich Man' and recently released his latest album 'Shades'. Just like the title of the album, it combines his superb and huge skill variety with remarkable sounds and takes the listener on a journey of deeply touching emotions. The diversity of styles on his album goes far beyond the Blues; he puts together his roots music background with his fascination about Middle Eastern, Latin and Classical music. The different 'shades' in his music makes him stand out in the scene like no other. After you have recorded your first solo albums, you received a phone call from Eric Clapton and Roger Water, who asked you to join them on tour. Since then you have become one of the most demanded session musicians in the world and played with Elton John, Gary Clark Jr, Tedeschi Trucks and Sheryl Crow. Then in 2016 you decided to return as an solo artist. Why did you decide to do this, and why didn't you do it earlier? After I worked with, and for, so many artists as a producer, songwriter and guitarist, I have felt like I have been a supporting musician for so many other artists. But after more than 17 years of doing this, I felt like it was the time to pick back up on my own career. Also I was in a completely different place when I started, then I am now. It felt like now it was time to experience and to find my own voice again in my own music. I was also having different experiences in playing live and connecting with the audience. It was almost felt like being born again into this new music. In 2016 you released 'Rich Man', which was your first solo album after 15 years. It's been called a spiritual and musical journey that brought you to the end of the world to find new sounds. You wanted to have this time out after your dad died in 2011. Tell us about that journey, about the new sounds you discovered and the experience of your travelling. You know, after 15 years of not doing my own music I had discovered a lot. So that record was 5 years after I had that spiritual shift in my life. That just sort of happened. I have gone through a lot of hard things in my life and that let me open up as a human. I was travelling around the world and started to open up to different cultures and tried to immerse myself in different cultures and experience all the different ways how people live around the world. I am really fascinated by that. Which countries did you enjoy the most and where did you get most experience in that spiritual transfer? I can sort of immerse myself in every culture because I am very into tribal cultures and also cultures that are intact, where they still have all the traditions that passed along from their ancestors and I like all the world things. How did you transfer the experience into your music? I feel like music is representing whatever you are going through in life. You have lyrics that you put on top of these "sounds" that you are making with instruments. The music is representing all these emotional things that can't be spoken or verbalised. Then you write the stories over it and they should match the music. But the music itself should tell a story, even if there are no lyrics on it. On your album 'Rich Man' you have a duet with Norah Jones, called 'New Faith', which has a great message. It's about the hope that people find ways to live together peacefully. What are your beliefs and spiritual values? In the time that I wrote that, it was when all of the insane kind of things were happening in Syria. It was about how separate people can be, even if they are from the same territory. We are all human, but it feels that there is an invisible line that segregated the cultures, like the Eastern cultures from the Western ones. The reason for this segregation probably goes back thousands of years ago, when religion first started and with the agriculture movement, when people started to lock away whatever they have. Before they were pretty free and shared, but then everything got locked up and people got used to fight for what they wanted to have. That started to separate people. Now it feels like everybody is separated from each other. This particular song is written from a perspective of a bird flying over and observing all these humans that are fighting and killing each other. I grew up with music. When I was little, I grew up with playing Blues music. In my mid-teens I got interested in Egyptian music, Flamenco music, Spanish music and Classical music. I always had the other side, that doesn't have to do with Blues. I was fascinated by compositions. So I love the movement of Classical music or the sound and feeling of Flamenco music, or the intense spirit of Spanish music. With Egyptian music I felt like it was the most sounding music in the planet. Later I got into Middle Eastern music around the world. Because I have an open mind to music, I am constantly learning music and I want to learn more music all the time. I am so open to cultivating and learning about the influences of music; that's why it just impacts my music. Even if I am self-taught and not schooled in music, but that's my way of studying music. Your music just sounds epic and sometimes you feel like from being from another world. Especially that Middle Eastern influence, it's a very dynamic and powerful music. Absolutely. I also play the Oud, which is the Middle Eastern sort of national instrument. When I was learning it, I studied from a real Oud player and he taught me about Middle Eastern scales and intentions. Because with Middle Eastern music or anything that has the quarter tones, they teach you from a young age how to play. But before you learn any of the playing, you first have to learn the culture and the history. You have to learn what that particular scale or mode of music means, because all that has a story to it. Certain scales represents, for example, the way those darks clouds are coming, when they are full of rain and before it actually rains; there is a scale for that and there is a sound for that. So every different scale is not just playing, it means culture. That's why that sounds so intense, as the music is really connected to the earth. Two years later, after releasing 'Rich Man', you released your new album 'Shades'. Is there a certain concept or message? What does the title mean? There are different messages within the songs, but the title has a meaning. When I was thinking of titles, I was more thinking visually. Because I wanted to take black and white shades, more like a 60s photograph. It looks like the light is coming out of me and these different shades of black and white. Then I started thinking of all these different facets inside a person, that we all have. And all these different shades that can represent the various sides of you. One song on the new album is called 'London to Tokyo' and it was quite moving to listen to. The chorus is very emotional and dreamy. What's the song about? When I was writing that song, I wanted to have sort of a cinematic quality to it, that you feel like you were traveling, and I wanted to have little elements of different aspects in music that I pick up when I am travelling. When I write songs, I start to resonate with what I think it should sound like. I already hear in my head what it should sound like, before I even start writing. I can hear already hear the whole sound of the song in my head. In the verses of this song I kept hearing all these distorted chants and all these instruments, and the sound of a conga that come out, if you play it with the thumbs and put it through an amplifier and it gets all these distorted tones. It's not just one tone, is like three tones in one. So I was hearing that and that was like chants almost, and when it goes into the chorus it opens up and it gets that epic, cinematic thing. I could see travelling through the mountains and glaciers. Then I thought the Northern part of Japan and the snow mountains and all that. I felt more cinematic, very visual with that song. You are your own producer. Is that important for your music as well to create the sound you want to have? It's a lot of work to produce myself. Producing is a big process. You have to set up everything, find the musicians you like, create the arrangement of the song, as well as a big management of time schedules to put all together and record in the studio. But it gives you the ability to create what you are looking for sonically. Then you can do a lot of experimentation. To produce myself, I have to trust myself to know what I want in my vision. Actually I really like collaboration, I like that a lot. I do my best stuff when I am collaborating. I see something happen and I react on it. I do really good work when I react on something. When I am doing everything myself, when I am producing myself, I am not really able to do that. Therefore I have to trust myself. It would be much easier if I didn't produce myself. But I just have a very specific sound in my mind and not a lot of people would get what I like to hear. You've collaborated with so many artists already, has there been anyone who stood out for you, inspiration-wise? Well I had a lot of those moments in my life. I had a very blessed life when it comes to that. You know, I am not a very famous person, so to get all these experiences with all these very iconic, talented and gifted people, like a few of the most influential people in the history of Rock music and Soul music, and to be able to make music with them, it's pretty surreal. But I am very grateful for it and I don't know how all these happened. I just trusted the universe that it has more of a plan that I do. I am just here and go with the flow. Has there been at any point, a time in your life where you thought you already have a lot of experience and now you need something else other than music. Because you also grew up with so much music, your dad being a musician as well? Yes, there have been a time when I wanted out. But that had more to do with a lot of drugs and alcohol. That was when I was 22 and came out of Arc Angels. I got heavy with drugs and music, became something that took me away from doing drugs and I only wanted to do drugs. So I gave up music, I didn't play for two years, I only wanted my drugs. I wanted to be a 'drug- doer'. I would only play if I needed money for drugs. But then I stopped doing drugs and started cultivating my music again and I never looked back. What's your goal with the new album? Is there any further artist you would like to collaborate with? There is a lot of people that I could have a brilliant musical experience with, and I don't know what it is. I just trust the universe and go with the flow, then opportunities will come. They will present themselves if I just keep making music and go through a deeper musical experience. Then that will lead to even deeper musical experiences. If you just trust the universe, it will take you to the right place. Reality is what it is, if you just let it flow and be open about it, then things will happen. Things come to you. If you're closed off from it and want to control where it goes, then you might miss out the things that are right there and you can't see. The thing is, you don't even know how it could be. If you are trying to control it, that won't work. All the magical things happen, when you don't know it and where you don't expect it. How was your time growing up with so many guitar legends, like your dad, Stevie Ray and Jimmie Vaughn? I grew up in '68 and my parents and myself moved to Austin Texas and we lived there till '74/'75. During my time there was this musical movement, when the Blues scene rose. But also the Country & Western scene and the Singer/ Songwriter Scene. All were coming out of Texas. So I grew up with all these arising scene. There was also this legendary Blues club, we went to regularly. They would have a lot of big names playing there, including B.B King, Leon Russel or Fats Domino. All these Louisiana Soul and Blues music. So we went to shows every night. There is actually a photograph where my dad was holding me, I was 4 or 5, watching Fats Domino. These experiences happened all the time down there. But my family, the Bramhall family and the whole Vaughn Family, we grew up together. Stevie was like an older brother to me. He was between my dad's age and my age. And Jimmie was sort of another dad to me. You know, they all watched me. I was like the house kid, the art kid that everybody watched. I just grew up with all these guitar players in Austin/Texas. And back then they weren't famous; it was in the mid 80s when Jimmie and Stevie came up to this bigger scene. Before that they were just like my family.